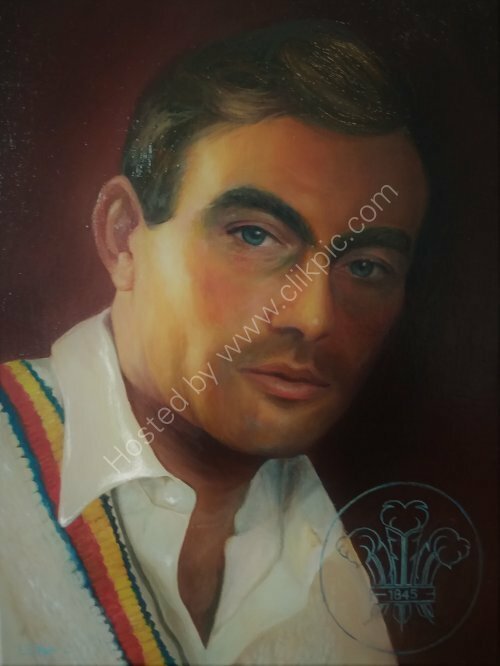 Behind the perfectly portrayed deep blue-eyed gaze, lies the strong, composed character of a fine England opening batsman; one of only twenty-five players in the history of the game to have scored one hundred first class centuries. Currently on loan at The Kia Oval Cricket Ground Museum, London, UK. 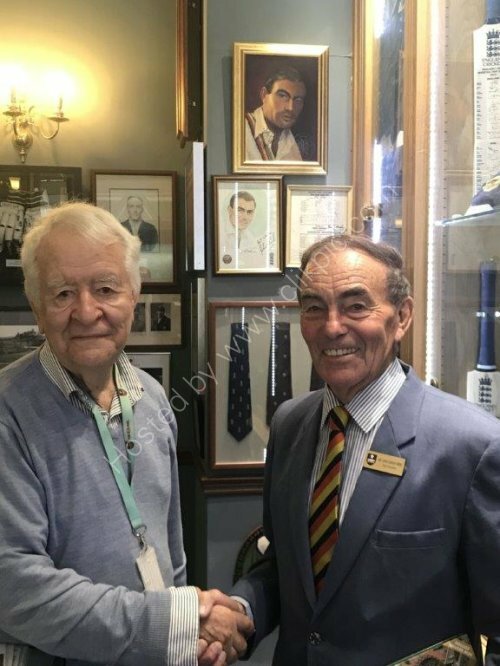 Mr John Edrich (right) with museum curator Mr Bill Gordon (left) posing in front of his portrait at The Kia Oval Cricket Ground Museum.